Kids can show their stripes as horse of a different color in our Zebra Toddler Costume. Galloping around the house will become a favorite activity for your little wild animal. Our toddler Zebra Costume includes a soft plush black and white striped jumpsuit with attached feet, matching mittens and a character hood. The hood features a detailed stuffed zebra head with marble eyes, faux fur mane and ears. 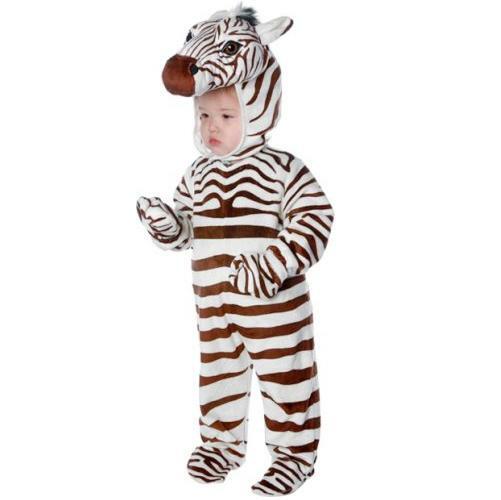 This wild equine will be ready to join the animal kingdom in our toddler zebra costume. It makes a fun outfit for an outing to the zoo, too!